Please join me in welcoming Heather Webb to the blog today to chat with us about marketing. Even if you're not published yet, it's not a bad idea to start thinking about how you want to show your author side to the world. That way when you do need it, you won't feel so overwhelmed. Heather has some fantastic tips that will prepare you for the marketing side of publishing no matter what stage you're at. 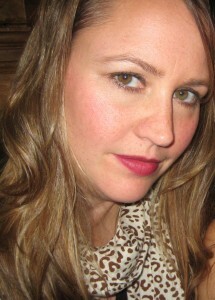 Heather is a historical fiction writer, freelance editor, and contributor to romanceuniversity.org. You can find her at her blog Between the Sheets with writing tips, author interviews, and recipes, or on Twitter @msheatherwebb. She is repped by Michelle Brower of Folio Literary Management, and her debut novel BECOMING JOSEPHINE will be released by Plume/Penguin in 2014. All authors are looking for that magic marketing formula. How much money should we spend on ads? What should our websites look like? How much time should be spent on social media? How do we distinguish ourselves amidst all of the white noise? But these are the wrong questions. The best way to establish oneself as an author, to be an effective marketing guru, isn’t quantifiable. *rips out hair* So what should an author focus on for promotion? Be yourself, which is to say, be unique! Don’t try to rip off another author’s style. It will not only feel phony to you, your readers will see that you’re trying too hard. Don’t assume they can’t tell. Give them more credit than that! Also keep in mind that online articles specifically, are more informal in voice. You don’t want to sound like a stiff or a nag, or you’ll bore your readers. Start your own writing-related services, writer group, or hashtag. Set up a bookstand with your novels at a soccer match, purchase inexpensive paraphernalia with your cover on it or maybe your character’s names. Sell it on your website, distribute it at conferences. People like stuff! Make cupcakes with your book cover on them and bring them to the day job, the community center, or the library. You get the idea. Think outside of the box. We’re all busy with our lives outside of writing, but it’s imperative you make time to get involved. Volunteer for your favorite writing group(s) or writer forums, agree to guest blog appearances, critique others’ pages, post industry-related articles. See and be seen. You’ll meet great people this way, not to mention, you may discover what you’re good at or what doesn’t work for you. You may meet your agent this way! Be involved in some aspect of the industry. A writer’s research is never finished. Pay attention to what is selling in the book market. Listen to what readers want. Track the changes happening in the industry. How will this information affect your current platform? How can you change to incorporate new trends and more importantly, to reach MORE readers? Do your research, if not daily, weekly. Reach out! Find ways to connect to different groups of people, both in person and online. Attend conferences, book fairs, and author signings. Cheer on your fellow writers in their quest to publication. Form relationships with people. When your agent tells you to get on Twitter, what they mean to say is, TALK TO PEOPLE. Make friends. Swap anecdotes, swap recipes. Anything! What you’re actually doing is forming your tribe. Your tribe will gladly help promote your works because THEY LIKE YOU. Because they’re your friends. Never underestimate the power of banding together to spread the word. The best way to gain more readers, to harness your success is to write more books. The kind of books that send readers on a journey, that wrench open minds with a crow bar, that break hearts. So get writing! And remember that being yourself and building relationships are the most effective marketing tools. Rose sails from Martinique to Paris to trade her plantation ways and Creole black magic culture for love and adventure. But her haughty Parisian husband dashes her hopes when he abandons her amid the tumult of the French Revolution. Through her savoir faire, Rose secures her footing in high society, reveling in handsome men and glitzy balls—until the heads of her friends begin to roll. After narrowly escaping death in the blood-drenched cells of Les Carmes prison, she reinvents herself as Josephine, a socialite of status and power. Yet her youth is fading, and Josephine must choose between a precarious independence and the unwelcome love of an awkward suitor. Little does she know, he would become the most powerful man of his century—Napoleon Bonaparte. Thanks Heather for the advice, especially on what to do on Twitter. I'm not on there yet, but am wondering what to do with it if I do go on it. Great advice, Heather. I'm currently getting involved in writing workshops and author visits, as well as looking for websites to review my book. Natalie, there are loads of free resources that teach writers how to use Twitter. Actually, a great website, writerunboxed.com, has a weekly Twitter tip. You might want to dig around there. Good luck with your novel, Paul! Gosh, I love these points, especially the Be Creative one--setting up a unique hashtag, giving away personalized stuff. Cool. :) But you are SO right--the best way is to write a great book. It will almost sell itself that way! Love the "engage" advice. There's nothing worse than feeling used for a sale. Thanks! Thanks for stopping by everyone. :) I hope you all enjoy the holidays and take a mini-break from marketing! LOL. Engaging is probably the best advice here. Just like what most organic seo optimization specialists would say, you have to interact with your clients to ensure they come back for more.